Washington Sep 15 (IANS) The US Treasury announced on Friday that it has imposed sanctions on a Thailand-based aviation company punishing it for its alleged ties with an already designated Iranian airline. The new move slapped sanctions on My Aviation Company for "acting for or on behalf of Mahan Air an Iranian airline previously designated for supporting Iran s terrorism activities " Xinhua quoted the US Treasury as saying. The latest move by the department will freeze all the assets the designated entity may hold in the United States and generally prohibit US individuals from doing business with it. 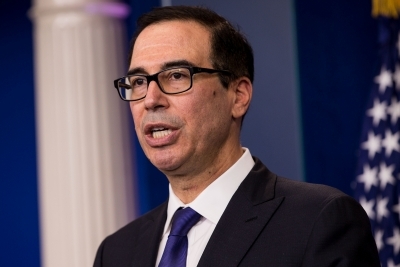 Washington has intensified its sanctions against Iranian entities and individuals after US President Donald Trump s decision to exit the Iran nuclear deal in May a move that has been criticized widely by the international community. The first unilateral US sanctions on Iran s automotive sector gold trade and other industries were re-imposed in early August with further sanctions on oil and transactions with the Central Bank of Iran expected in November. A UN expert in late August called the sanctions re-imposed on Iran as "unjust and harmful" saying that the sanctions are driving millions of people into poverty and making imported goods unaffordable.